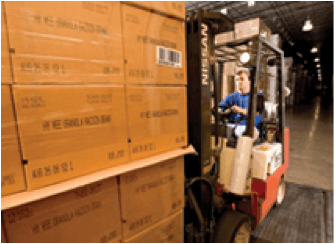 The managers of warehouses and distribution facilities face immense pressures, whether in-house or as a third party. In warehousing and distribution, manufacturing, food distribution and field sales, your inventory accuracy is crucial. By integrating mobile computing solutions with existing systems and software, you can maximize current investments while enjoying the benefits of your new solution. We’ve worked with numerous companies to implement mobile computing solutions that help address these issues and other operational requirements. We have experienced the unique challenges facing in-house distribution operations versus third-party logistics companies. Additionally, we can help you understand and leverage opportunities to integrate RFID, voice recognition and other technologies into your solution. Turn to Advanced Mobile Group for your inventory management solutions and know that your valuable assets are accounted for.